EghtesadOnline: Stocks lost ground on the Tehran Stock Exchange in a correction phase to cool down recent market overheating, with the benchmark TEDPIX falling for after nine straight positive sessions. The market’s downside was in fact anticipated and even welcomed by analysts who saw the ongoing rally, initially amplified by fundamental factors, deteriorate into speculative behavior by investors who looked to stocks as a way to protect their wealth as the rial plummeted against the US dollar. The TEDPIX has posted a return of 24% on investment in the past nine days. Almost all the stocks on Tuesday were in the red as selling began on a large scale. The message was that while the stock market had been partying throughout the summer, a hangover is now inevitable. The buying frenzy in the past days had now reversed with around 85% of the ticker symbols in negative territory on Tuesday, Financial Tribune reported. According to the analytical website Donyaye Bourse, although the recent rally had been significantly fueled by the inflow of fresh liquidity, fundamental factors that gave rise to the upswing cannot be ignored. Monthly earnings reports by export-oriented companies that have experienced a boost from the decline in rial's value has been among the major factors. Analysts had warned that the excitement around the stock market had led to herd behavior causing inexperienced investors to steal the momentum. Secretary of the Expediency Council Moshen Rezaei had weighed on the topic this week, warning investors not to be "exuberant" about the index growth, because if a bubble is created, they would witness "irreparable" consequences. The rial's gain against major currencies which accelerated on Tuesday was another factor for the correction. The rial recouped more of its losses on Tuesday, being sold as low as 100,000 rials to the greenback. Although multiple rates were quoted for the dollar, the exchange rates rose again later in the afternoon but currency trade by most exchange bureaux was suspended like in the past. New measures by the Central Bank of Iran in easing currency rules and optimism about Iran's Action Plan with the global anti-money laundering body, the Financial Action Task Force are said to have been effective in the bearish trend in the currency market. On Tuesday Mahmoud Sadeghi, a pro-reform lawmaker from Tehran, tweeted that although the voting on the bill allowing Iran to join the international Convention for Combating Financing of Terrorism had faced a delay, most MPs, including the opposition conservatives, were in favor of the bill. 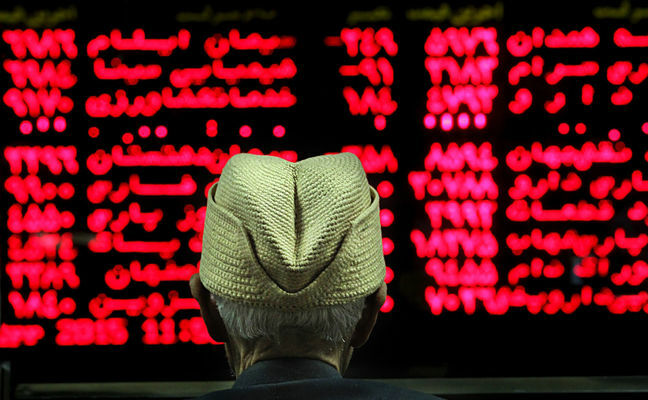 Tehran Stock Exchange’s main index lost 7,220.79 points or 3.69% on Tuesday to end trading at 188,259.4. About 5.28 billion shares valued at €102.28 million changed hands at TSE for the day. Hafez Tile Co. was the biggest winner as its shares went up 43.67% to 6,274 rials per share. Farabi Pharmaceutical Company incurred the biggest loss among all TSE-listed companies and went down 10.59% to 5,440 rials per share. Mobarakeh Steel Company was the biggest laggard behind the benchmark's fall, followed by Tamin Petroleum and Petrochemical Investment Company, and Bandar Abbas Oil Refining Co.
Bank Mellat gave the biggest boost to the benchmark index, followed by Omid Investment Co., and Tejarat Bank. The Price Index lost 2,110.35 points to close at 55,022.2. The First Market Index was down 5,397.67 points to post 139,986.3. The Second Market Index declined by 14,001.80 points to reach 368,725.2. The Industry Index went down by 7,347.58 points to register 170,726.4. The Free Float Index was down 7,476.55 points to hit 202,320.84. The TSE 30 went down 373.79 points to settle at 9,095.8 and the TSE 50 ended 322.94 points lower to finish at 8,092.8. Iran Fara Bourse’s main index IFX lost 2,165.54 points or 3.37% to close Tuesday trade at 2,165.54. About 767.36 million securities valued at €48.85 million were traded at the over-the-counter exchange for the day. Bank Day had the highest number of traded shares and trade value as 186.82 million of its shares worth €1.72 changed hands. MAPNA Asaluyeh Power Plant, Rail Seir Kowsar Co, and Atrin Nakh Qom Co. registered the highest value increase. Iran & Shargh Leasing Company, Rishmac Productive and Exports Company, and Lavan Oil Refining Co. suffered the biggest decline. Marun Petrochemical Co., Zagros Petrochemical Company, and Lavan Oil Refining Co. had the most negative impact on IFX.